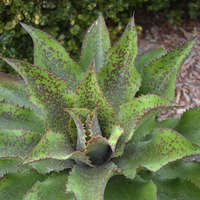 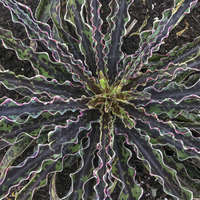 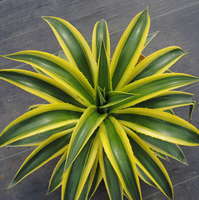 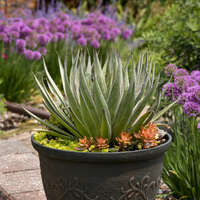 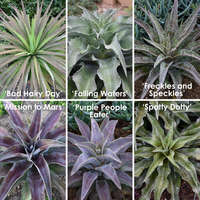 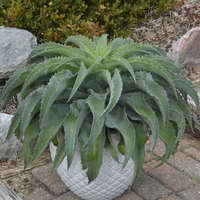 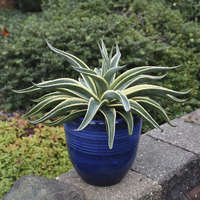 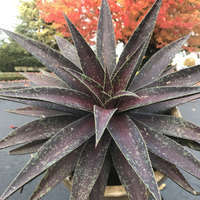 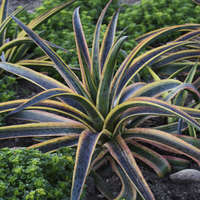 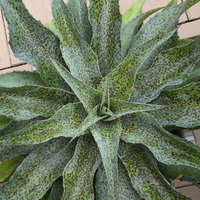 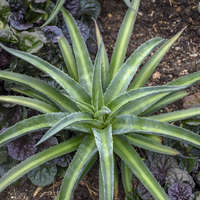 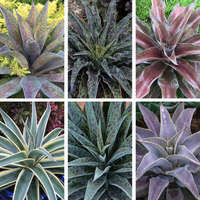 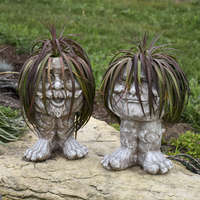 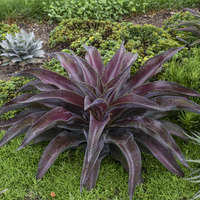 A larger form Mangave that's perfect for being a centerpiece or focal point in your garden or containers. 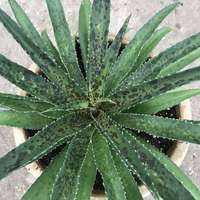 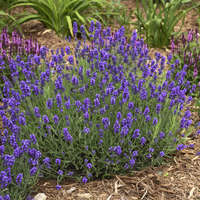 Large, wide blue-green leaves are lightly speckled with dark spotting. 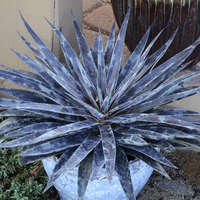 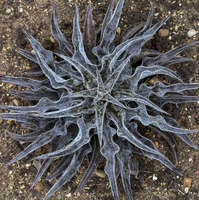 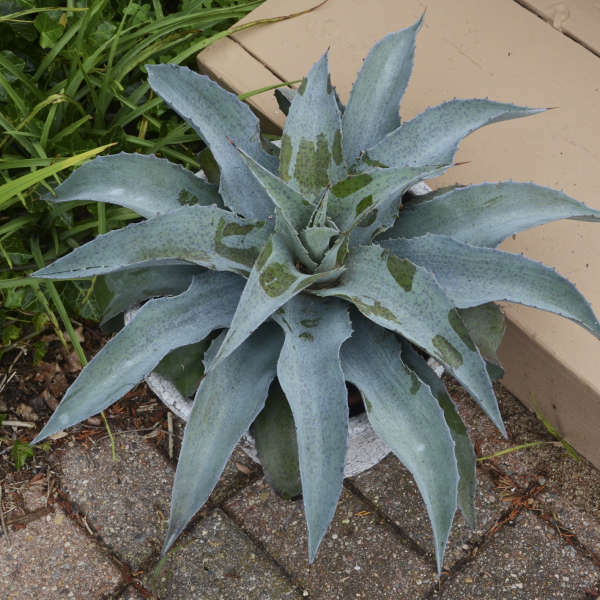 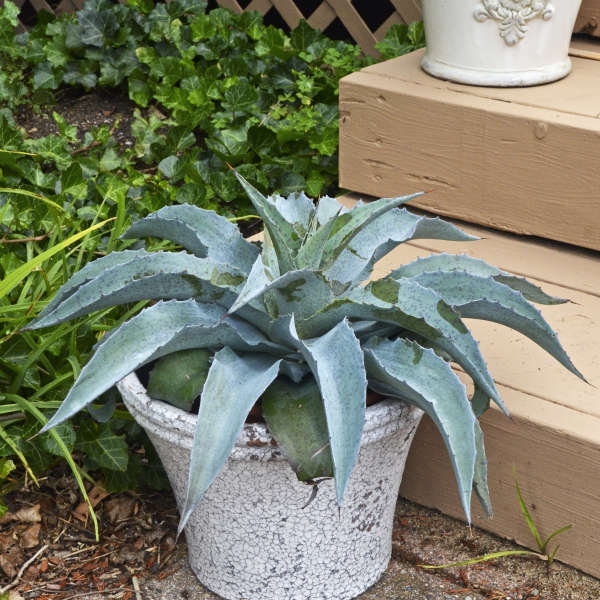 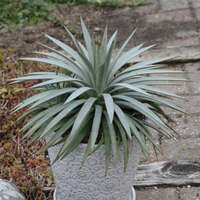 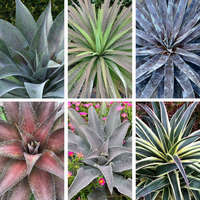 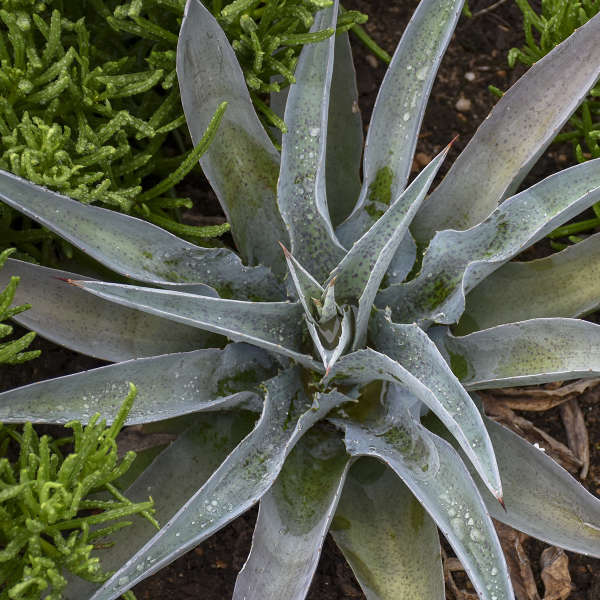 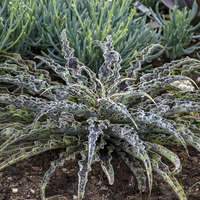 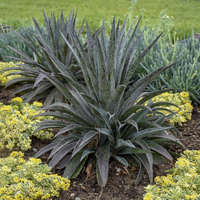 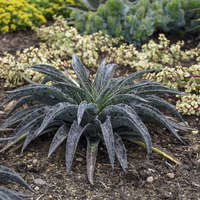 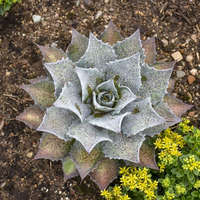 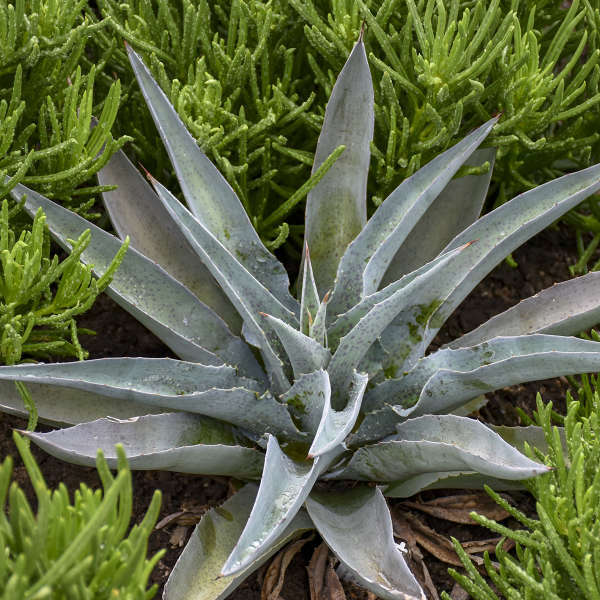 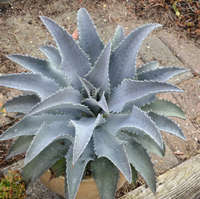 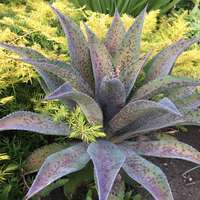 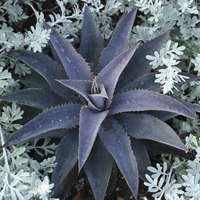 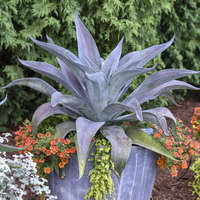 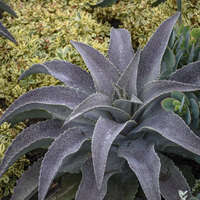 A waxy coating gives the plant more of a silvery blue look. 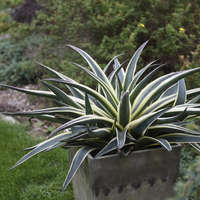 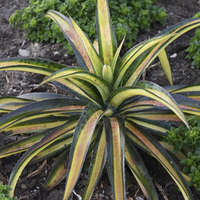 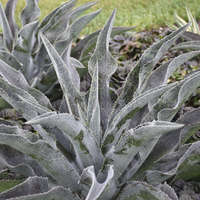 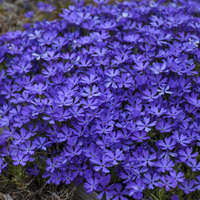 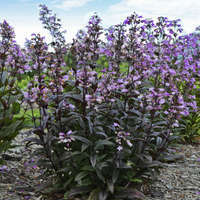 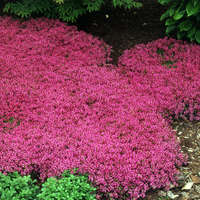 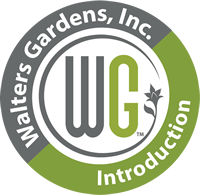 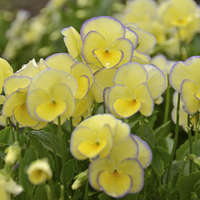 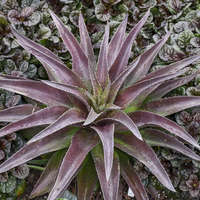 Its low, wide habit has leaves that arch downwards at the tips, perfect for framing containers. 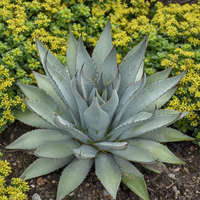 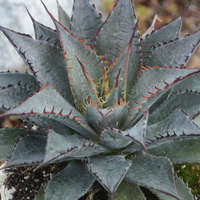 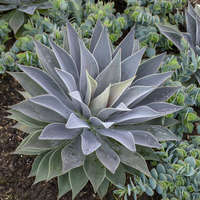 The name 'Whale Tale' is in reference to its parentage of Agave ovatifolia (Whale Tongue Agave), which comprises about 50% of its blood.